MT LAUREL, New Jersey — Fresh off the successful launch of an all-electric satellite on an Ariane 5 rocket, satellite fleet operator Eutelsat announced June 2 a commitment to launch three more satellites with Arianespace, and signaled an early interest in using the next-generation Ariane 6. Paris-based Eutelsat said the Eutelsat-7C satellite from Space Systems Loral, the African Broadband Satellite from Thales Alenia Space and the first Eutelsat Quantum satellite from Airbus Defence and Space will all launch with the European launch provider. 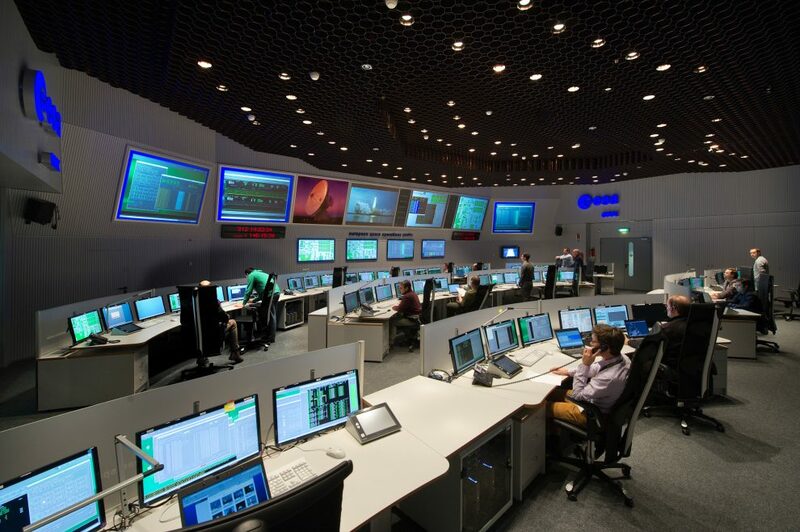 “I believe this puts us in the right conditions for our upcoming discussions on Ariane 6,” Yohann Leroy, Eutelsat’s deputy CEO and chief technical officer, said in a post-launch speech at the Guiana Space Centre’s Jupiter control room. 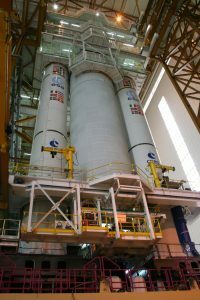 Ariane 6, the successor to Ariane 5, is under development by ArianeGroup, the new name for Airbus Safran Launchers, and is expected to be roughly half the cost of the Ariane 5. The rocket’s first launch is scheduled for 2020. Arianespace plans to launch Eutelsat-7C in 2018, followed by Eutelsat Quantum and the African Broadband Satellite in 2019. Chief Executive Stephane Israel said all three will launch on Ariane 5 rockets. “Our hope is that Ariane 6 will subsequently take over so that we can help Eutelsat meet its objectives even more efficiently,” he said in a June 2 written statement. Eutelsat’s latest satellite, the Airbus Defence and Space-built Eutelsat-172b, launched June 1 on the lower berth of an Ariane 5. The heavier ViaSat-2 satellite for ViaSat took the launcher’s upper position. Eutelsat has one other satellite, Eutelsat 5 West B, assigned to an International Launch Services Proton rocket mission in 2018. A joint Orbital ATK-Airbus Defence and Space manufacturing team is building the satellite. In March, Eutelsat also announced it would launch a yet-to-be-ordered satellite on Blue Origin’s future New Glenn reusable rocket.